Poplar Firewood - Is It Any Good? Poplar firewood is a very controversial firewood to burn. Just like any piece of wood, poplar will burn, but will it burn good enough to make it worth your time? Cutting firewood can be a lot of work. It's labor intensive, time consuming and by the end of the cutting season you're pretty much sick and tired of dealing with firewood. So you definitely want to utilize your time and effort to get the greatest reward for your hard work. This is why a lot of people simply don't mess with burning poplar when they can spend their time cutting up higher quality woods like sugar maple or oak that create higher BTUs. However, don't be too quick to discard poplar as a viable firewood choice. To learn more, let's look at some of the trees characteristics and my own personal experience with burning the wood. The poplar tree is also commonly called the aspen or the cottonwood. The tree is native to the Northern Hemisphere and the populas genus consists of about 25-35 flowering deciduous plants. The trees can grow anywhere from 50-165 feet tall with trunks up to 8 feet in diameter. The bark of the tree is generally light brown, greenish or grey in color. In younger trees the bark can be smooth and in some species it remains smooth, while in others it turns rugged and gnarly looking with a consistent x-cross pattern. 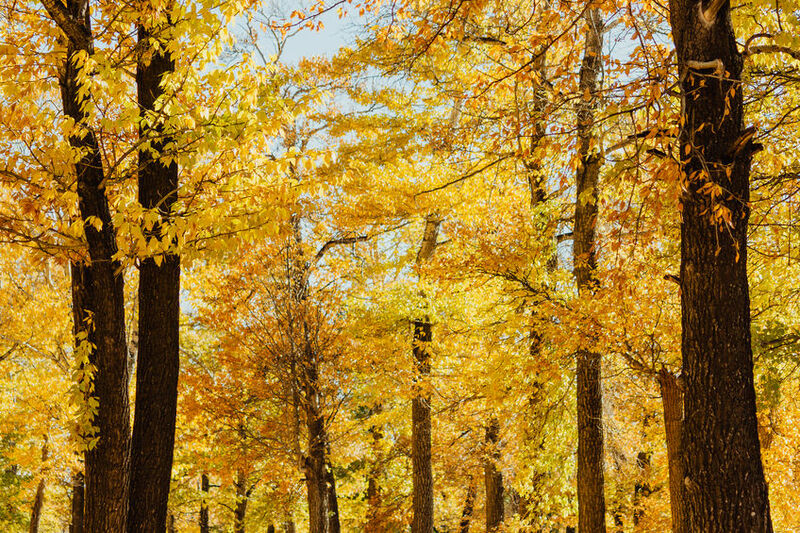 Poplar trees are commonly planted for ornamental purposes due to their rapid growth and shade capabilities. They are easy to care for and thrive in warm conditions. The trees also have a vigorous and extensive root system that can spread out 40 meters from the tree. Do to the invasive root system, the tree should not be planted near buildings or septic fields. The wood of the poplar is very flexible. The tree is commonly used to produce paper, pallets and plywood. Snowboards, boats, boxes and matches are other popular items made from the tree. Poplar is also planted as a windbreak or used as a privacy screen due to the rapid growth of the tree. Most people describe poplar firewood as a gofer wood because you put one piece in the fire then you immediately have to "gofer more." The wood of the poplar is very soft and light. Cutting through a piece of poplar with a sharp chainsaw is very different compared to a hardwood like oak or maple. The chain screams through poplar throwing large chunks and making quick work of the tree. This makes cutting up a poplar log quick and easy, allowing you to process a lot of the wood in a short amount of time.The wood is also very light. Seasoned poplar is not very dense and it's obvious when you pick up a log. Poplar burns hot and fast which is not a surprise due to its low density. So here's the question.....should you use it for firewood? Poplar can make a good early or late season firewood when the temperatures are moderate. It's also a good wood to mix in with other higher quality hardwoods. 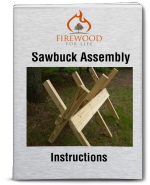 The wood works good for starting fires or simply using it for a campfire in your backyard. I actually bought a load of aspen (which is commonly referred to as poplar) by the pulp cord, which are bolts of wood in 8 foot lengths. A logging company down the road had a lot of the wood and I bought it for next to nothing. Now, I don't usually buy low quality wood but at $32 a full cord I couldn't resist. Plus the load actually had a little hardwood like maple and elm mixed in here and there! I burn poplar mainly in my outdoor wood furnace and sometimes use the wood to help light a fire in my fireplace. The wood does burn hot and quick and also pops a lot more than other woods. Poplar makes good kindling that lights easily and creates a quick, hot fire. 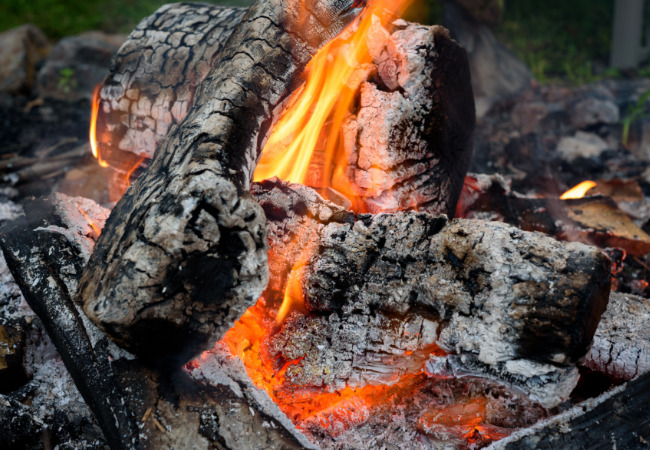 While it's not great for an overnight burn because it does not have very good coaling qualities compared to oak or beech, it does work great when you throw a piece on a pile of coals in the morning to get your fire going quickly. Plus, poplar splits really easy. This makes processing it into kindling an easy task. Overall, I'm pretty impressed with the wood. Yes, it's definitely not the best, but if you have realistic expectations poplar firewood could work well for you too! Do I recommend going out and buying poplar? No, not unless you get it for next to nothing, similar to my situation when I purchased the wood for $32 for a full cord. 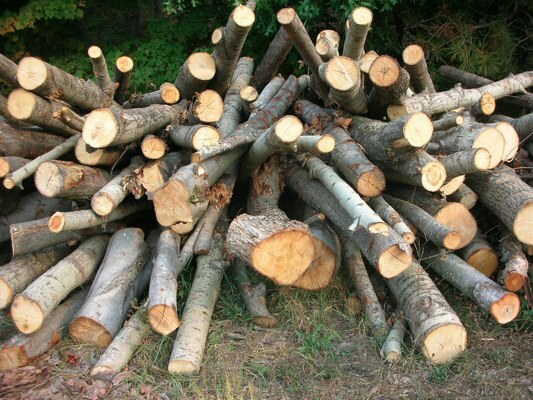 If you have access to the wood on your property or somewhere close to your home, the wood is worth cutting up instead of just rotting in the forest. Mix the wood in with other higher quality hardwoods if you're burning it throughout the day, or if you don't have a lot of the wood just split it into kindling to help light your fire quickly.